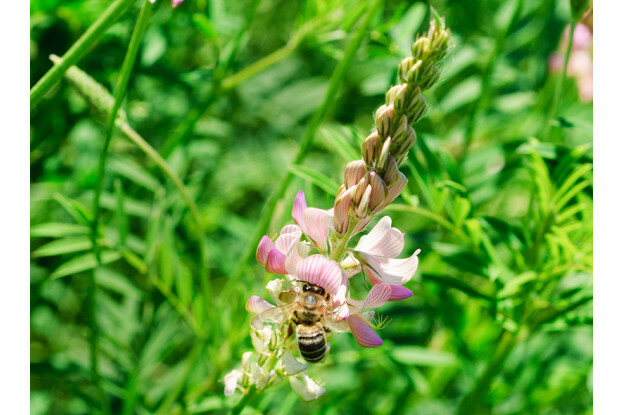 Our Intermountain West honey bee pasture blend has been designed to meet the needs of professional beekeepers and hobbyists throughout the areas bordered by the Sierra Nevada and Cascade mountain ranges in the West, as well as the Rocky Mountains in the East. This clover-heavy blend contains a large percentage of legumes as well as wildflower species preferred by the honey bee and other beneficial pollinators. It provides maximum nectar and pollen amounts throughout the growing season, and contains both perennial and self-seeding annual species for multi-year productivity. This blend can also be used as a green-manure cover crop.